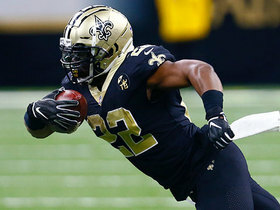 Analysis: Houston ranks among the league leaders in cap space this offseason and, probably as a result of which, has been linked to numerous running backs that will soon become available when free agency opens in March. While it's not out of the question for the Texans to add some sort of backfield depth this offseason, it doesn't appear as though Gaine is positioning his team to be in the market for a high-priced veteran such as Le'Veon Bell. Analysis: Miller was already upgraded to full practice participation Thursday, but it's nonetheless good to see that carry over to Friday. The 27-year-old should be in line for a full workload against Jacksonville, which features the 18th-ranked rush defense in the NFL (115.7 yards per game) and allows 4.3 yards per carry. Analysis: After sitting out Week 16's loss to the Eagles, Miller was limited at practice Wednesday, but Thursday's upgrade to full participation aligns with the running back's assessment, via Aaron Wilson of the Houston Chronicle, that his ankle feels "way better" at this stage. Miller is thus in line to return to action Sunday against the Jaguars, who have allowed an average of 115.7 rushing yards per game to date, a mark that ranks 18th overall in the NFL that category. 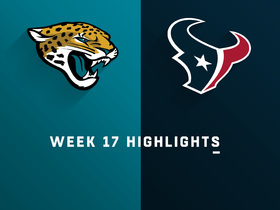 Analysis: That's a positive indicator with regard to his status for Week 17 against the Jaguars, with Drew Dougherty of the Texans' official site noting that "there's a decent chance" Miller will play if things go well for him in practice the next few days. That's a tad more optimistic than coach Bill O'Brien's take on the situation from Monday. Miller's activity will be revisited Thursday to see if he maintains his limited level of practice participation, which seems likely. Miller (ankle) practiced Wednesday, Aaron Wilson of the Houston Chronicle reports. Analysis: Miller will likely be listed as a limited participant when the Texans release their first practice report of Week 17, but his ability to take the field in any capacity offers optimism that he has a chance to play Sunday against the Jaguars. While Miller sat out the Week 16 loss to the Eagles, Alfred Blue filled in as the starting running back and compiled 14 yards on four carries and 26 yards on four receptions. Coach Bill O'Brien said Miller (ankle) may return for a Week 17 matchup with the Jaguars, Aaron Wilson of the Houston Chronicle reports. "I think he's got a chance," O'Brien relayed Monday. "[He's] trending upwards." Miller (ankle) has been downgraded to out for Sunday's contest against the Eagles. 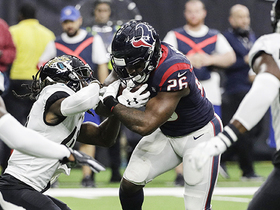 Analysis: Head coach Bill O'Brien suggested Friday that Miller had a "chance" at playing Sunday, but that appeared more remote each passing day given the veteran running back was never able to log a full day of practice. Alfred Blue is expected to take over the starting role in Miller's absence, but there's a possibility D'Onta Foreman could see his first action this season after missing most of 2018 while recovering from surgery to his Achilles tendon. Miller (ankle) is listed as questionable for Sunday's game against the Eagles after practicing in a limited fashion all week. Analysis: Coach Bill O'Brien said Friday that Miller "has a chance" to play in Sunday's game, which is one of nine contests kicking off at 1 p.m. EST. O'Brien's non-committal words suggest that the running back's status could go down to a game-time call. If Miller ends up limited or out Sunday, added work would be available for Alfred Blue. D'Onta Foreman, who was activated from the PUP list earlier this month, would also be a candidate to see his first game action in more than a year. Coach Bill O'Brien said Friday that Miller (ankle) could play in Sunday's contest against the Eagles, but added "the game is still 48 hours away though," Deepi Sidhu of the Texans' official site reports. Analysis: O'Brien's comments might leave the door open for Miller to play, but they also don't provide any clues with regards to the running back's chances of taking the field. Miller's official status for Week 16 will be revealed after Friday's practice concludes, but it's looking like a final call on his availability won't come until gameday. Miller (ankle) was limited at practice once again Thursday. Analysis: Per Aaron Wilson of the Houston Chronicle, the running back's practice participation this week "points toward a good chance Miller is able to play this week, barring a setback." For his part, Miller is "taking it day-by-day" at this stage, but is relieved that he avoided a major injury in Week 15. We'll revisit his status Friday to see if Miller approaches Sunday's game against the Eagles with an injury designation or is fully cleared in advance of that contest. Miller (ankle) was listed as a limited practice participant Wednesday. 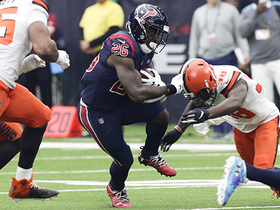 Analysis: Miller's ability to practice Wednesday would seem to confirm coach Bill O'Brien's previous optimism with regard to the running back's right ankle injury. He'll still need to be monitored as the week rolls along, however, to see if he carries a designation into Sunday's game against the Eagles. If his ankle responds well after practices Thursday and Friday, Miller could avoid the questionable tag entirely, which would allow fantasy managers to deploy him with greater confidence. Miller (ankle) was spotted on a stationary bike during the portion of Wednesday's practice that was open to the media, Aaron Reiss of The Athletic reports. Analysis: The Texans will reveal later Wednesday if Miller's activity constitutes limited or non-participation at practice. For now, his status for Sunday's game against the Eagles is unclear, but if Miller is unable to suit up, added work would be available for Alfred Blue. D'Onta Foreman could also re-enter the team's backfield mix for the first time this season. Coach Bill O'Brien indicated Miller's right ankle injury doesn't appear severe, but won't know fully until the team returns to Houston following Saturday's win over the Jets, Aaron Reiss of The Athletic reports. 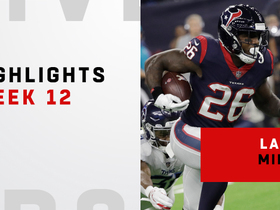 Analysis: Miller sustained the injury on the Texans' first drive and re-entered for the following series before fully exiting the contest. He carried three times for eight yards prior leaving the game. The early report is good news but the lack of specifics currently leaves Miller's status for Week 16 up in the air. Miller is questionable to return to Saturday's game with an ankle injury. 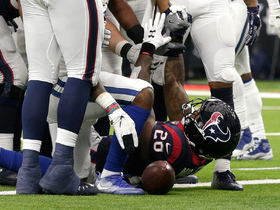 Analysis: Miller exited Saturday's contest during the Texans' opening drive with what appeared to be a minor ankle injury, and actually returned to begin the team's second drive before heading off to the locker room later in the series. Alfred Blue and Buddy Howell will man the backfield in Miller's absence. 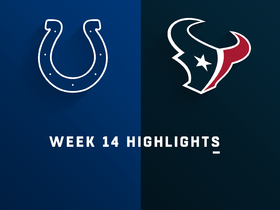 Miller rushed 14 times for 33 yards and a touchdown in Sunday's 24-21 loss to the Colts. He also caught five of six targets for 19 yards. Analysis: Miller was bottled up most of the day and turned in his worst effort since Week 9 as a result. Nevertheless, he took a direct snap from the one-yard line for a third-quarter touchdown. The 27-year-old had topped 100 rushing yards in four of his previous six games entering the contest, and he'll try to get back on track Week 15 in a road matchup with the Jets. Miller rushed 19 times for 103 yards and caught his lone target for 12 more in Sunday's 29-13 win over Cleveland. Analysis: Miller's mustered 100-plus yards on the ground in four of the past six games, reviving his fantasy value despite being stuck on just three rushing touchdowns and one receiving score for the season. Alfred Blue rushed 13 times for 54 yards in this one as well, with Houston keeping the ball on the ground after racing out to a 23-0 lead at the half. Miller and the Texans will host the Colts in Week 14. Miller rushed 12 times for 162 yards and a touchdown in Monday night's 34-17 win over the Titans. He also caught his lone target for five yards. Miller rushed 20 times for 86 yards while catching three of five targets for 22 yards in Sunday's 23-21 win over Washington. Analysis: Miller eclipsed 100 yards from scrimmage for the fourth time this season, but he still has only three total touchdowns on the year. The red-hot Texans will be searching for their eighth straight win when the Titans come to town in Week 12, and Miller should be a key offensive cog as the team's primary backfield option. Miller managed just 21 rushing yards on 12 carries but added two receptions for 27 yards during Sunday's 19-17 win against Denver. 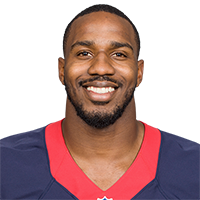 Miller could play a significant role for a third straight game Sunday when the Texans face the Broncos' 27th-ranked rushing defense. 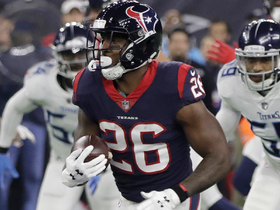 Houston Texans running back Lamar Miller turns on boosters for 14-yard run. Houston Texans running back Lamar Miller pushes into the end zone for a quick one-yard touchdown. 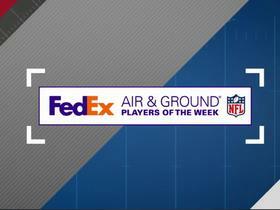 Check out the Week 12 nominees for FedEx Air & Ground Players of the week. 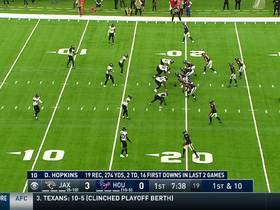 NFL Network's "NFL Fantasy Live" crew discuss the fantasy fallout from the Houston Texans' win over the Tennessee Titans on "Monday Night Football" in Week 12. Watch the best runs from Houston Texans running back Lamar Miller's 162-yard day.